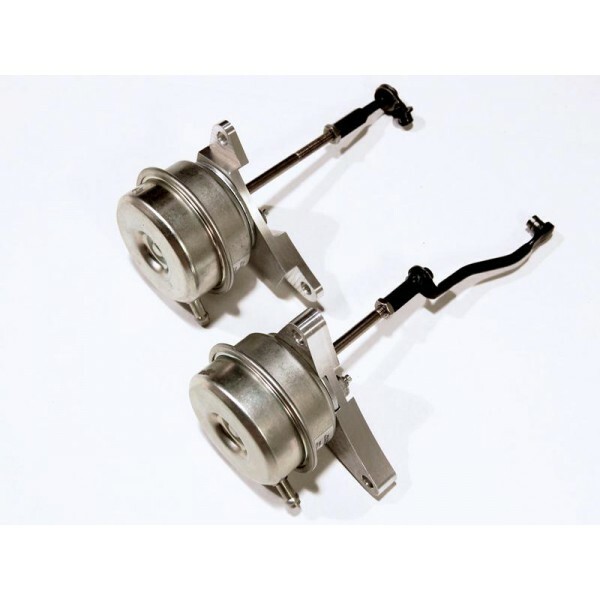 The factory GT-R internal wastegate actuators have a low pressure activation which limits the amount of boost the GT-R can run. 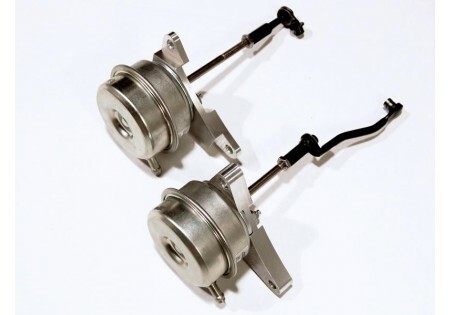 The AAM Competition GT-R High Pressure Wastegate Actuators will allow you to hold more boost all the way to redline and realize the full potential of the GT-R's factory turbochargers. Bracktes are made of 60601 billet aluminum. Crack pressure is approx 12 psi, base pressure is approx 14psi.